Coming Soon? 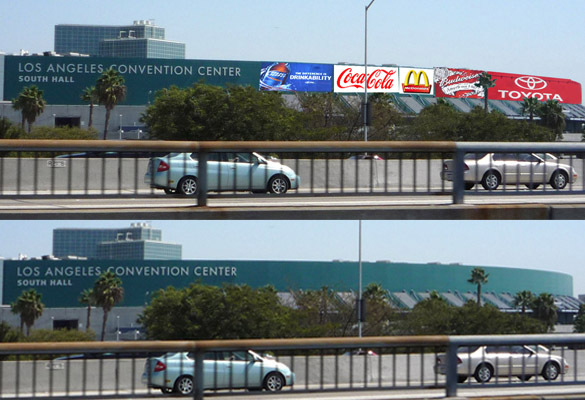 More Freeway Advertising Signs in Downtown L.A.
Shaded area of downtown L.A. to be exempted from state sign laws. 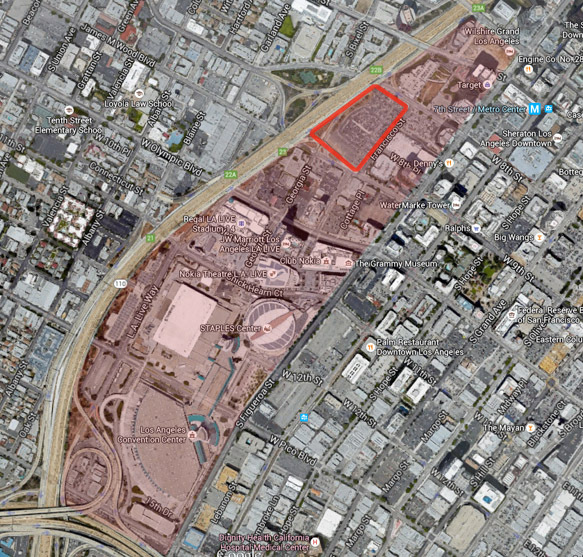 Metropolis project site outlined in red. The Chinese developer of the Metropolis project now rising beside the 110 Freeway in downtown L.A. might be excused for wondering why there’s any fuss over its bid to exempt the billion-dollar retail, hotel and condo complex from a state law forbidding commercial advertising visible to freeway traffic. 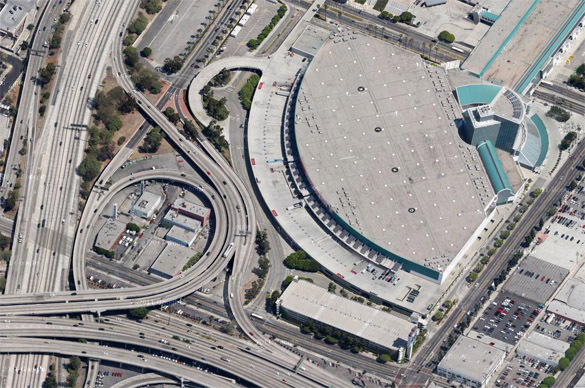 When a proposal to put 50,000 sq. 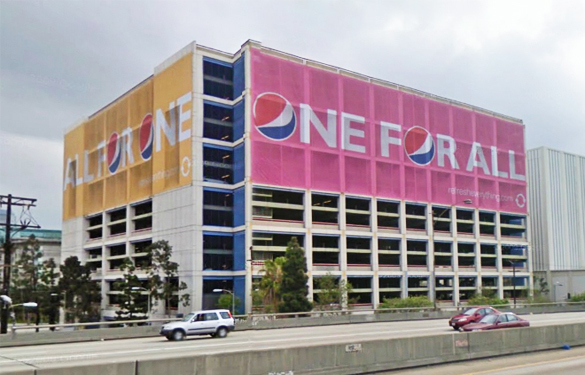 ft. of billboards on the facade of the L.A. Convention Center came before the City Planning Commission two years ago, one element got a big raspberry from commissioners. That was the plan for billboards covering much of the distinctive glass entry towers designed in the early 90’s by the firm founded by world-renowned architect I.M. Pei. 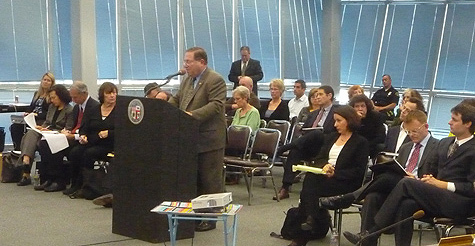 The L.A. Building Department should not have issued permits for three digital billboards on Westwood and Santa Monica Boulevards, according to a unanimous vote of the West L.A. Area Planning Commission. 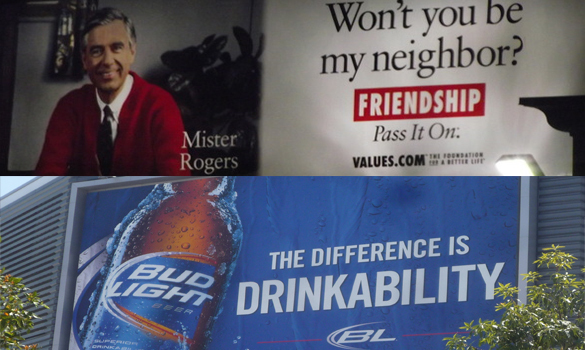 The decision, which cannot be further appealed, means that the full-sized billboards with their brilliantly lighted, rapidly changing images that have aroused numerous complaints from surrounding neighborhoods are now operating without lawful permission from the city. 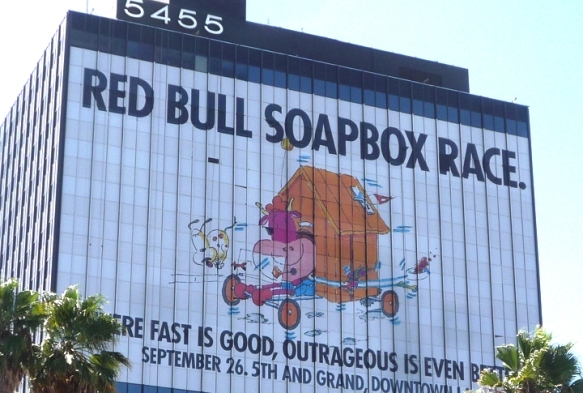 The decision also throws into question the legal status of the other 90-plus digital billboards operating in other parts of West L.A., Hollywood, the midtown area, Venice, and the San Fernando Valley. 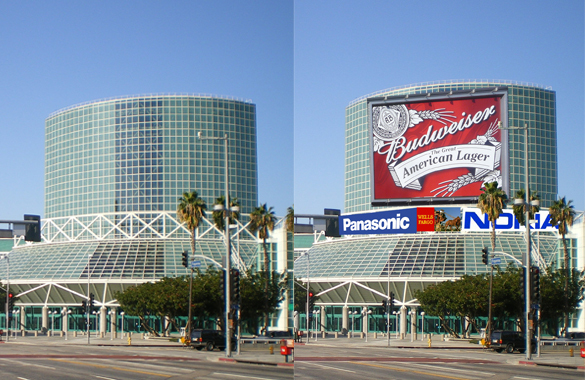 On July 9, the L.A. City Planning Commission will be asked to approve more than 50,000 square feet of advertising signage on the L.A. Convention Center, almost half of it on the long façade that directly faces the confluence of the Harbor and Santa Monica freeways, one of the busiest and most complex freeway intersections in the city.